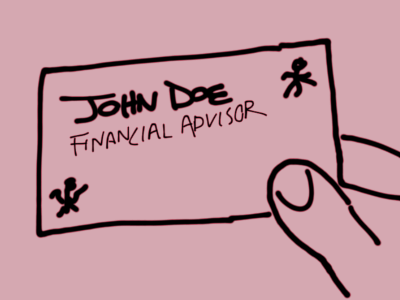 Those who use the term “financial advisor” on their business cards can be split into two groups: fiduciary advisors and nonfiduciary advisors. Fiduciary advisors are legally responsible to act in your best interests, and, as the name would suggest, nonfiduciary advisors are not. I should know the difference between the two better than most; I’ve worn both hats. Unfortunately, few in the general public understand this distinction. In either case, these are not good times to be called a snake oil salesman—I mean financial advisor. The general public has good reason to distrust most financial advisors. Studies have now proved that their advice is typically not worth the reams of paper the small print disclosures are printed on. A recently updated Harvard and MIT study suggests financial advisors should not be trusted. This study sent undercover researchers posing as investors seeking financial advice to unsuspecting nonfiduciary advisers, and the results were appalling. Undercover researchers with low-cost and well-diversified portfolios were instructed to sell and reinvest this money in high-cost funds. Costly performance-chasing strategies were encouraged. And those with highly concentrated stock positions received little warnings against their folly. Many will interpret these results as an indictment against all professional financial advisors. Before joining a firm affiliated with the National Association of Personal Financial Advisors (NAPFA), I was part of what some in my profession jokingly call the “dark side.” I was called a “broker” because of the transactional nature of my job description, but others will say that this name came from the way clients feel after investing <smile>. In either case, I was peddling financial products for a large multinational financial firm with strong ties to Wall Street. We called ourselves financial advisors. The dark side was well organized. Every Monday morning our group of young aspiring financial advisors would meet in a large conference room accommodating our class of 20 for the weekly training and pump-up session. Most training sessions included some type of reference to the evidence-based expectation that only 1 in 10 of us would remain. And as these words were shared, we all scanned the room, avoiding eye contact, and resolved that we would not be the next to go. However, the meager monthly stipend was not enough to survive. Paying the monthly rent required that we find new customers to offer our annuities, life insurance policies, and commission-based mutual funds. Leave it to those in the finance industry to skip all pretense about the dignity of work that lies beyond a paycheck. The question was not about needs or even desires. It was about our very identity as denominated in dollars. This exercise was supposed to help us set personal goals. I looked to my left and right and immediately decided I was worth more than either of those two sorry souls. But I also knew I’d never make as much as Tony sitting across the table. He was smooth, successful, and clearly worth quite a bit more. Back in 2001, I arbitrarily imagined my current worth as the starting salary of about $45,000. I knew a few friends who had graduated with me from the University of Virginia who were making this kind of money, and it seemed like a reasonable place to start. Consider the power of these incentives on a broker. Imagine you meet with a family who has $10,000 to begin their savings. If they invest this money in no-load funds, a broker gets nothing in return. Investing in a fee-based mutual fund account provides about $126 in commissions the first year, and investing in a whole life insurance policy might yield as much as $3,000 in commissions. As you can imagine, it’s very challenging to remember the Golden Rule when both your paycheck and your self-worth is at stake. In the so-called good old days, we didn’t even need to disclose how much we received in commissions. We were trained simply to focus on features and benefits without addressing the costs of these products. I find great relief that my current firm accepts no such third-party payments. We have nothing to disclose because our firm is strictly fee-only, which means our clients pay our fee directly. This relief isn’t just emotional; it’s also physical. My body literally released previously undiagnosed tension as I left an employer whose motives I constantly questioned and joined an employer I trust implicitly. It feels good. As a fiduciary advisor, my goals are to find the lowest cost and most efficient financial instruments that will help our clients meet their goals. The less our clients pay in fees, the better their returns and the better our results. If the total market of stocks for and bonds are expected to yield 5% over inflation on average and total fees from the finance industry equals 2%, this leaves 3% as the average net real return. This humble arithmetic concludes that the more that is extracted in fees, the less that remains as a reward for the risk undertaken by investors. Simply reducing your fees by 1% over a 35-year career can add an additional 20% to your total retirement savings. This means that if your goal is to accumulate $1 million an extra 1% in fees can cause you to fall $200,000 short. Sadly, most of the investing public is never made aware of these financial realities or comes to understand the benefits of working with an advisor whose interests are aligned with their own. To help this process along, there is a legislative effort led by the Financial Planning Coalition to force a fiduciary standard on all those who say they are offering comprehensive financial advice. Even if they get their desired outcome, I expect that any involuntary change will be resisted and watered down. For the time being, being lumped together with all other financial advisors means that fiduciary advisors have a great branding problem on their hands. I have followed the advice detailed in the Marotta on Money columns and performed direct transfers from a mutual fund company to Vanguard’s REIT, Intern sm cap ex US, ETF and Vng Emerging Mrkts and Dvdnd Grwth mutual funds. Your posted. Your financial advice columns have been an eye opener and I have been doing much better investing. Thank you for your service to the public. Willie, I’m glad to hear that your putting to practice sound investing principles! As mentioned above, seemingly small adjustments can have significant results over a lifetime of investing.